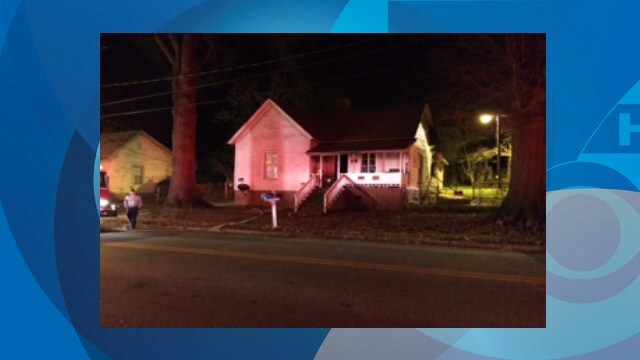 ANDERSON, SC – Two people were taken to the hospital after being trapped in a house fire on E. Whitner Street in Anderson Tuesday evening. Investigators say the fire started around 8:00 p.m. in the kitchen and the couple was not able to get out of a bedroom due to the fire and another exit was blocked by two by fours. Investigators took an air conditioning unit out of a window to so the two could get out of the home. Investigators told 7 On Your Side photographer David Jolley that they don’t believe the fire is suspicious. The kitchen was heavily damaged and other parts of the home suffered heat damage. VANCOUVER — An old, multi-storey home in east Vancouver was destroyed Tuesday morning, but everyone got out safely after flames gutted the attic and upper floors. Vancouver Fire Chief John McKearney said fire broke out around 5 a.m. and the home, which had been divided into four suites, was fully engulfed when crews arrived. Several occupants had to be rescued by ladder and three were taken to hospital as a precaution, along with a firefighter who was believed to have suffered a separated shoulder. McKearney said the fire appeared to have started at the rear of the home in an area where several cars were parked, then quickly ran up the side of the building and into the attic. A 19-year-old woman who lived in the uppermost suite was unaccounted for in the hours after firefighters controlled the flames but she had been located, safe and sound, by mid-morning. 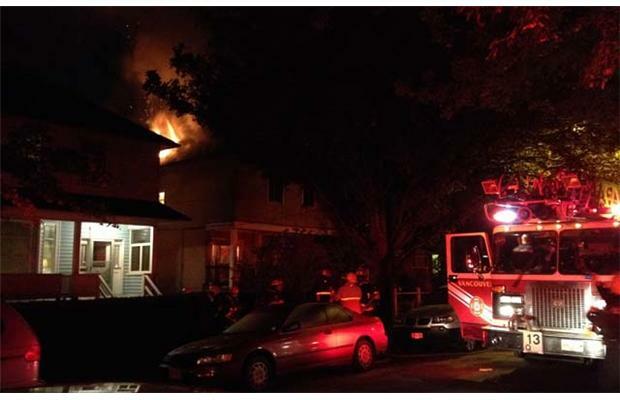 A man had to be rescued from a house fire in the city’s southwest side Saturday night. Firefighters responded to the call for a house on fire on Reynolds Street just after 5 p.m. While en route, crews said they got another call from the man who said he was trapped on the second floor of the home. Firefighters said they were able to carry the man out of the house safely. Fire officials tell News10NBC the man suffered from smoke inhalation. He was taken to Strong Hospital for treatment and observation. Firefighters were able to contain the fire mostly to the basement and put the fire out quickly. Porter firefighters pulled an unconscious man from his burning home near Ford Road in Porter early Saturday morning. Montgomery County Fire Marshal Jimmy Williams stated in a release that the fire was reportedly started from a space heater. The man, in his mid-50s, was revived and treated by the Montgomery County Hospital District EMS. Porter Fire Department Captain Richard Mixx said the man was taken to Memorial Hermann Northeast Hospital in Humble. “I spoke with his wife and she said he’s still in the hospital and that he’s doing fine and that they’re supposed to release him (today),” Mixx said. Mixx said the Porter fire crew found the man on the floor outside a bedroom in a single-wide mobile home. “They arrived on scene with fire showing,” Mixx said. Mixx said the man’s wife was at home at the time of the fire and went outside and called 911. Mixx said the crew that responded to the fire felt good about how everything went. Williams stated that the home did have two smoke detectors, but neither were working at the time of the blaze. KANSAS CITY, Mo. – Two sisters are in the hospital after being pulled from their burning home. It happened just before midnight Thursday near E. 69th St. and Holmes Rd. in Kansas City, Mo. According to authorities the girls, ages 14 and 5, were home alone when the fire started. The older sister had called 911 and told dispatchers that she was having trouble breathing. Dispatchers say the girl never told them the house was on fire. It wasn’t until first responders got to the scene that they realized the home was on fire. Firefighters broke down the door and pulled both girls from the home. The girls have been taken to Children’s Mercy Hospital for treatment. It’s unclear at this time what may have started the fire. The bomb and arson unit is investigating. Firefighters with tools commonly used to extricate victims from car crash wreckage freed a 3-year-old girl whose head was stuck Wednesday between the metal bars of a fence at a McDonald’s. The girl’s head was lodged for about 20 minutes between two bars of the fence around a play area at the restaurant in the 4900 block of Beach Boulevard in Buena Park. 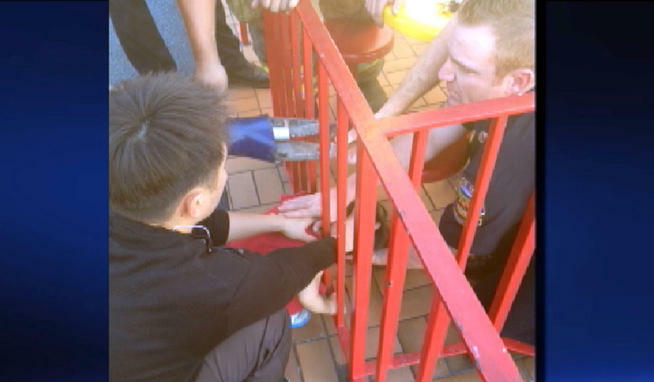 Orange County Fire Authority personnel used the Jaws of Life rescue tool to cut through bars so the child could escape. The uninjured girl was crying, but managed a smile after receiving a fireman’s sticker badge, a stuffed animal and ice cream. JOHNSON CITY — Firefighters rescued a woman from a burning house in Towne Acres on Christmas morning. Firefighters were called to 2312 Rambling Road about 7:30 a.m., finding smoke billowing from the residence and learning that the woman was trapped in the house, Lt. Jerome Palmer said in a news release. Fire crews reached the woman and removed her from the house. She was taken to Johnson City Medical Center for treatment and later flown to Vanderbilt Hospital in Nashville. Fire officials did not know the extent of her injuries. 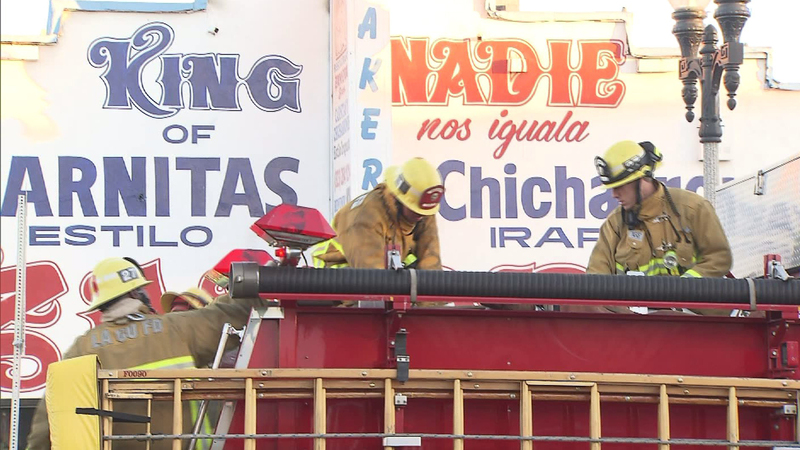 Firefighters rescued a man who was trapped inside a burning Mexican restaurant in East Los Angeles early Christmas morning. The Los Angeles County Fire Department responded to the blaze at Cesar Chavez and Kern avenues (map) at about 6:15 a.m. to find sheriff’s deputies trying to get the man out of the building, according to Battalion Chief Mark Tolbert. Firefighters entered the eatery — a popular spot called Zamora Carnitas — and were able to rescue the man, who suffered smoke inhalation and was taken to a local hospital, Tolbert said. 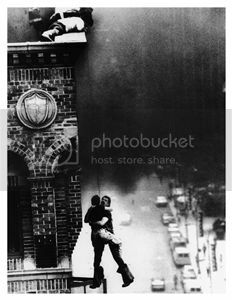 The fire was soon put down, he said. The blaze at Cesar Chavez and Kern avenues sent smoke towering into the air at dawn, cellphone video taken by a bystander showed. The inside of the restaurant appeared blackened and charred. 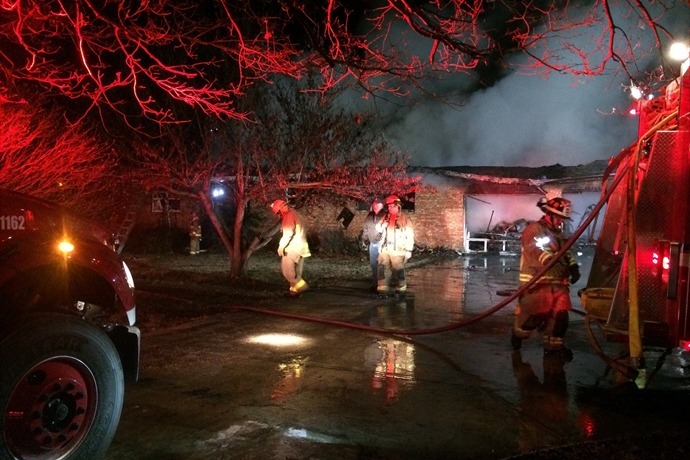 FAYETTEVILLE — Fayetteville, Goshen, Round Mountain and Knob Hill firefighters responded to a house fire in the 3200 block of Rom Orchard Road around 10 p.m. Monday. 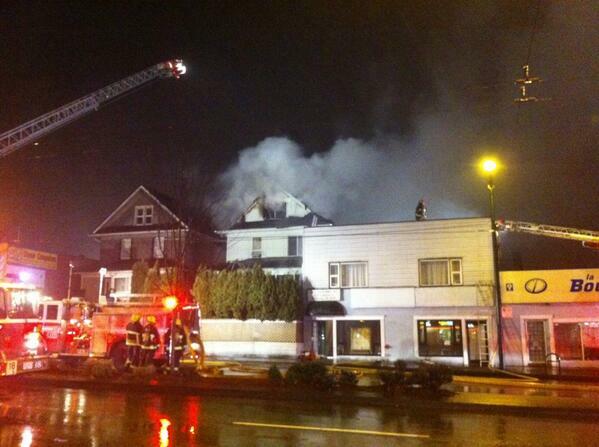 Crews worked to put out the flames into the early morning hours Tuesday. First responders say neighbors alerted a man inside the home that it was on fire, and he was pulled out of the burning home through his bedroom window. No word at this time of his condition. He was taken to Washington Regional Medical Center for treatment. 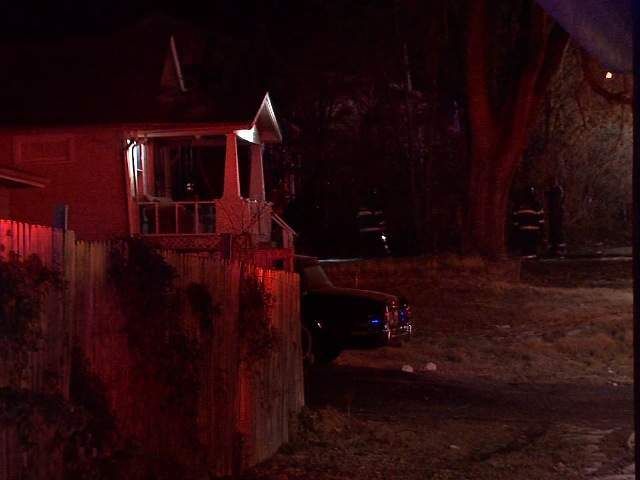 The Fayetteville Fire Department says it appears there were no smoke detectors in the home. The cause of the fire is under investigation. KNWA and Fox 24 has a crew at the scene, and will provide updates as they become available. Tune into KNWA Today starting at 5 a.m. and the Fox Morning Edge at 7 a.m. for the latest details.